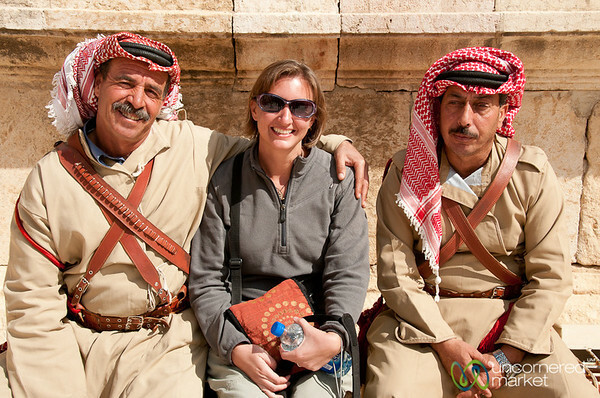 At the various historical sights around Jordan you will find retired military musicians playing music. 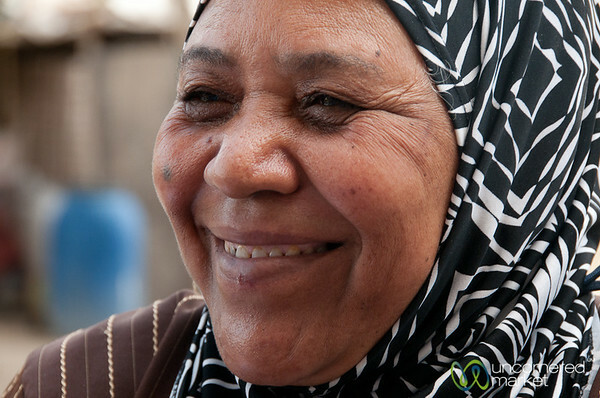 This is a way to keep them active and employed after retirement. Taken at the Citadel in Amman. 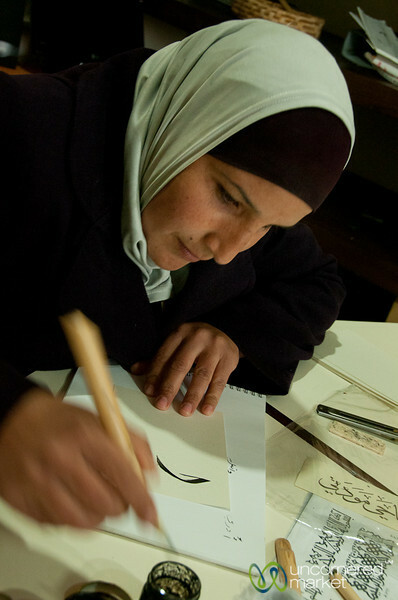 A lesson in classic Arabic caligraphy at the Caligraphy House in Rasun, Jordan. 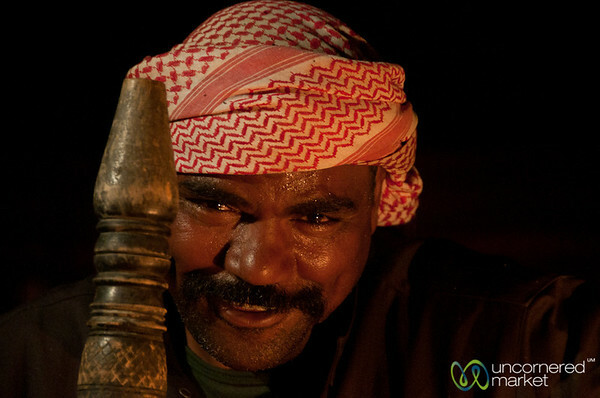 The previous evening we spent time with Abu Abdellah in his tent located near Feynan EcoLodge, Jordan. We were happy to be able to see him the next morning before we departed. 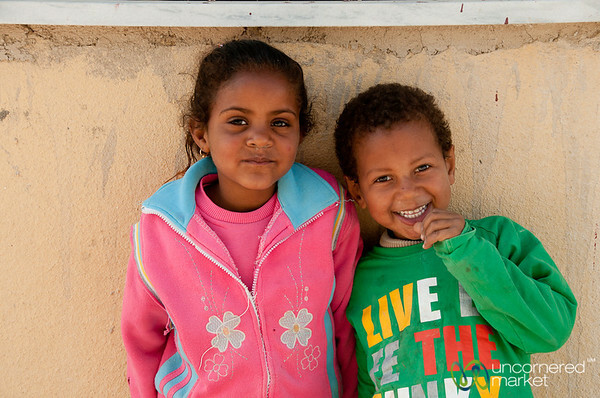 These friendly kids followed us around as we walked through their dusty town near the Dead Sea in Jordan. 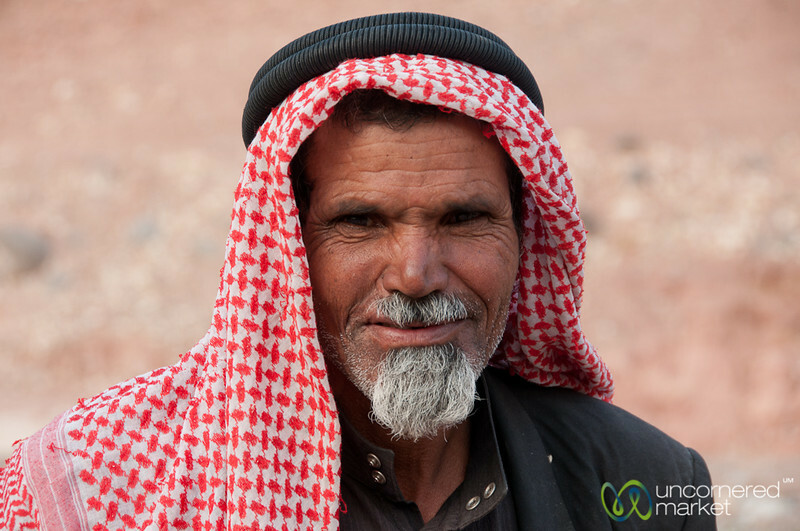 This man was in charge of tending to the horses used in the charriot race in the ancient Roman city of Jerash. You could tell he loved his horses and spent much time with them to be sure they were OK. 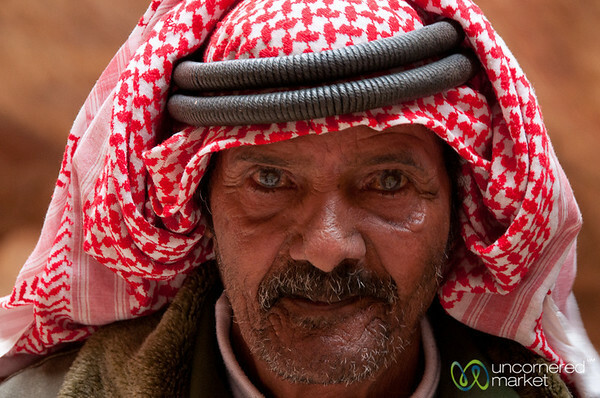 This smile makes us wonder what Shaban is thinking... Wadi Rum, Jordan. 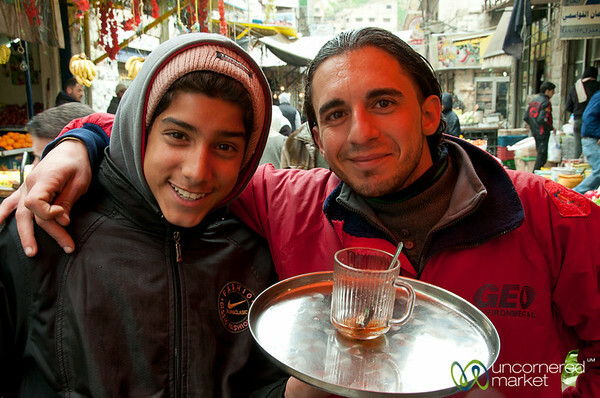 A young guy delivers sweet mint tea back and forth to vendors working at the food market behind Hussein Mosque in downtown Amman, Jordan. 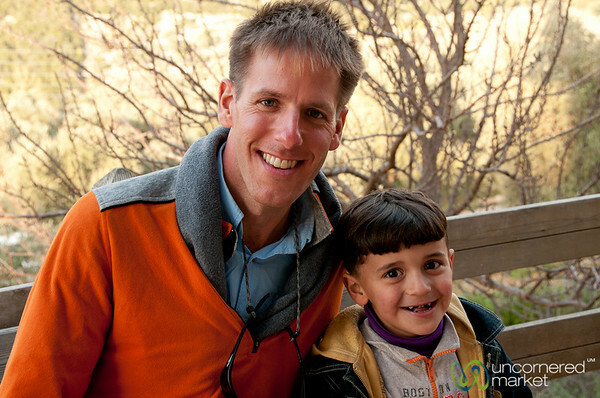 Dan hangs out with the son of the manager at the Soap House in the village of Orjan in northern Jordan. 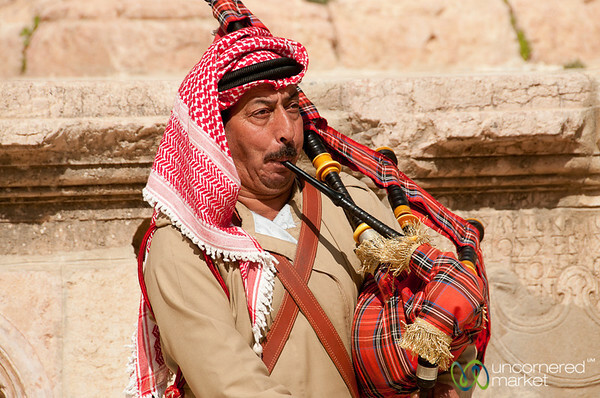 Retired military musicians continue their trade after military service by playing in the South Theatre in the ancient Roman city of Jerash, Jordan. 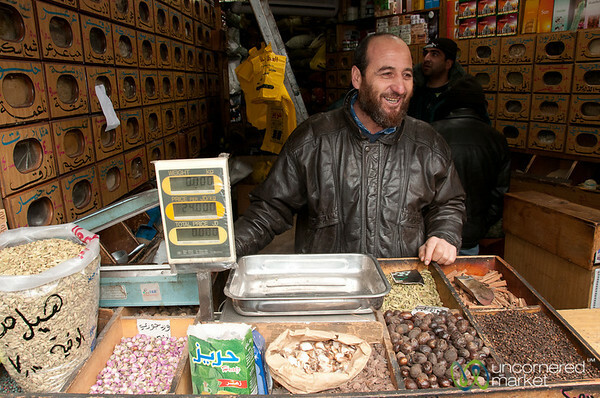 The falafel master at Hashem Restaurant also seemed to double as a stand up comedian. 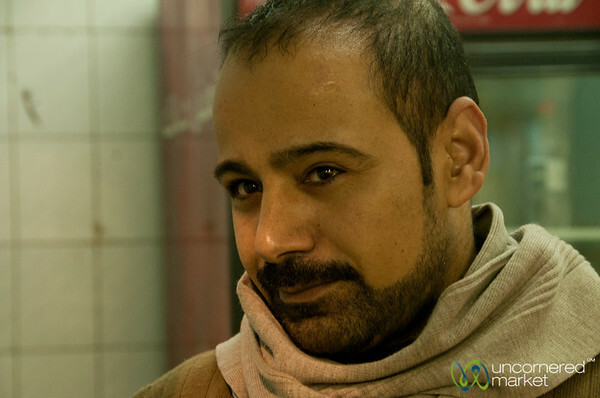 Taken in downtown Amman, Jordan. The owner of this spice shop that carries something like 4,000 different items from all over the world is an encyclopedia of information on natural cures and remedies. He had advice on balding, cancer cures, cleansing , etc. Quite a character. 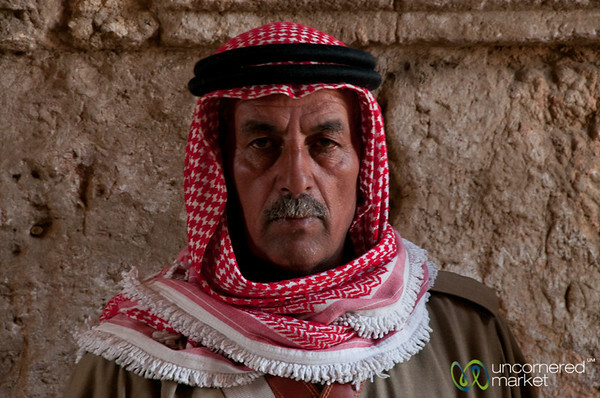 Taken near the Hussein Mosque in downtown Amman, Jordan. 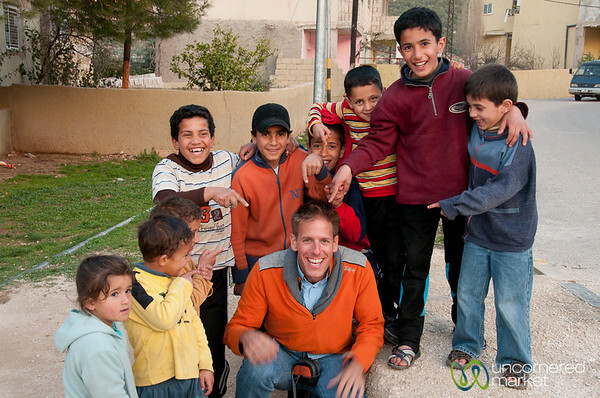 This friendly shepherd shares a bit of his work with us in the town of Ghor el Safi in Jordan. 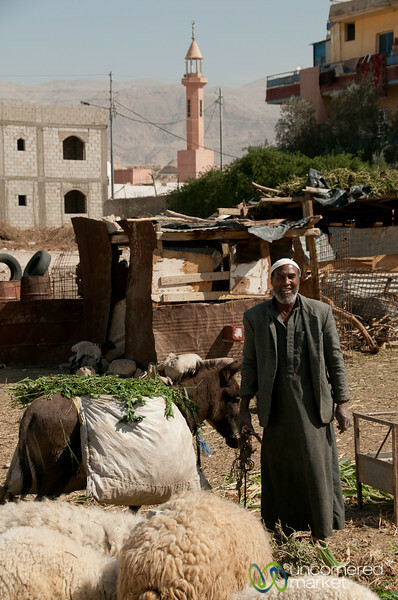 This man has a simple vegetable and fruit stand on the side of the highway going past the Dead Sea. 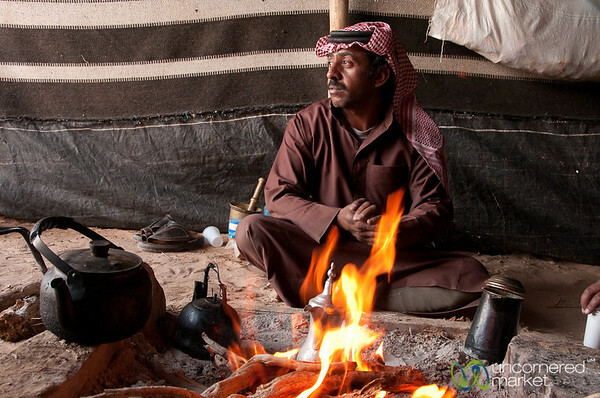 Our Bedouin host keeps the coffee hot and waits for the fire to burn down. 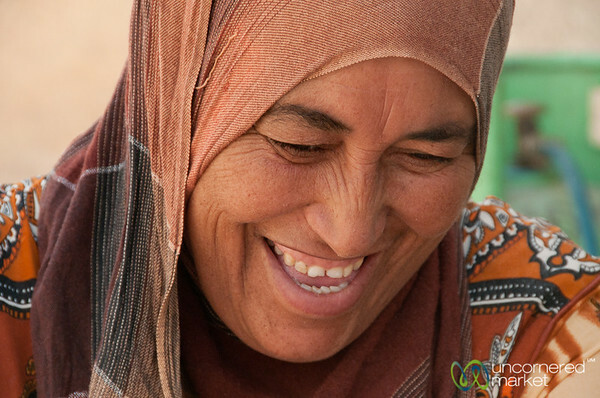 Wadi Rum, Jordan.